…but sometimes they need your help to stay healthy. We’ve got a range of products designed specifically for cats…everything from Natur Vet Vitamin and Mineral Supplements, to Salmon oil for a healthy coat, to hairball prevention solutions and ear mite remedies, to milk replacements and supplements-everything you need to keep your cat healthy is right here at Cowtown! 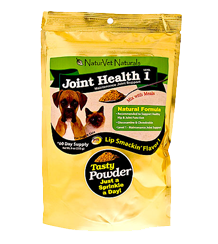 Product Description: Veterinarian formulated and recommended to support healthy hip and joint function. Helps to maintain joint flexibility and alleviate aches and discomfort associated with exercise. 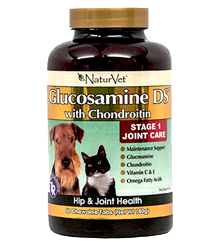 Glucosamine is an easily absorbed natural substance that may stimulate the production of proteoglycans which help maintain the health and resiliency of joints and connective tissues. Contains important antioxidants to help protect against free radicals that cause cellular damage. Available in: Joint Health Level 2 (moderate joint health), Joint Health Level 3 (Advanced joint health). important antioxidants that help remove free radicals that cause cellular damage. 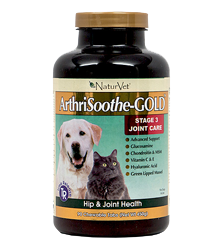 Also Available: ArthriSoothe-Gold Liquid (8oz, 16oz, 32oz). antioxidants and helps support structural integrity of joints and connective tissues. 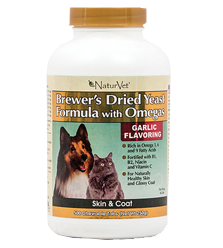 Tasty natural flavoring that dogs and cats love. Available sizes: 60 ct, 150 ct & 240ct. sources of trace minerals in the world. Trace minerals are ESSENTIAL for proper food digestion and vitamin utilization. 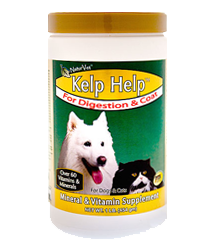 Kelp HelpTM combines the benefits of natural Omega 3, 6, and 9 Fatty Acids for healthy skin and a glossy coat, as well as being fortified with vitamins and minerals important in maintaining normal digestion and overall health. 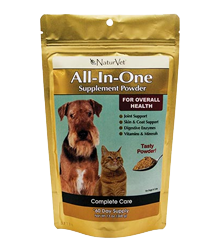 Product Description: NaturVet Naturals All-In-One is the ideal product for your pet’s essential needs – vitamins and minerals, digestion, skin and coat, and joint support. 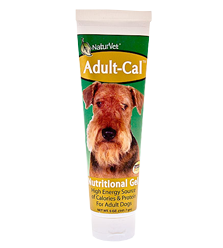 Product Description: Adult-Cal Nutritional Gel tastes like a treat. Formulated with Omega-6 and Omega-3 fatty acids, in a low volume form. A few tasty licks provide supplemental caloric and nutritional intake for your dog. A great way to bond with your pet is to give right from the finger. May also be given from a dish. Available available: Cat-Cal Nutritional Gel (5oz), Puppy-Cal Nutritional Gel (5oz), Senior-Cal Nutritional Gel (5oz). 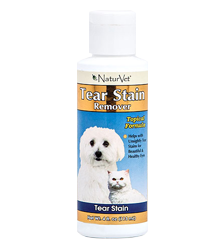 Product Description: NaturVet Tear Stain Remover is a topical, gentle, water-based, wiping solution for removing tear and saliva stains from your pet’s fur. 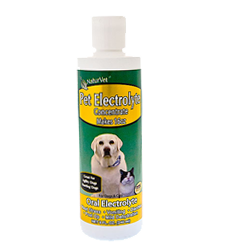 Helps unsightly stains for beautiful, healthy eyes and coat. May be used on a regular basis. Product Description: Tear Stain Supplement Tablets are formulated to help eliminate unsightly tear stains from the inside out. 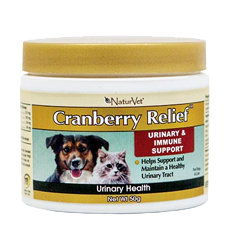 Our natural active ingredients of Cranberry Extract and Calcium Ascorbate help support the immune system, Marshmallow Root helps lubricate mucous membranes and Oregon Grape Root is a natural anti-microbial. All together they will give your pet healthy, beautiful eyes. 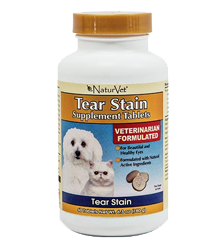 Also Available: Tear Stain Supplement Soft Chews (65ct), Tear Stain Supplement Powder (200gm). 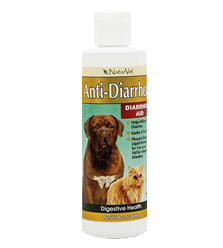 Product Description: Anti-Diarrhea is a pleasant tasting liquid for use as an aid in the treatment of non-infectious diarrhea. Kaolin is an anti-diarrheal additive for the absorption of toxins. Pectin helps relieve simple diarrhea and gastroenteritis in dogs and cats. Product Description: A concentrated enzyme blend derived from vegetable sources. 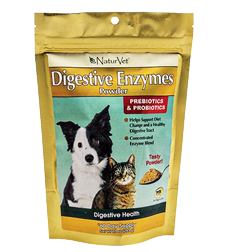 Contains a source of live/viable naturally occurring microorganisms recommended to help support a healthy digestive tract. 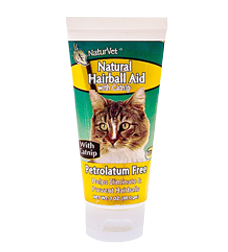 Product Description: Natural Hairball Aid is a combination of natural herbs and oils which coat the digestive tract to help ingested hair pass through the intestines and prevent hairballs. Formulated with the appealing taste of catnip. Product Description: Recommended to maintain hydration in times of mild fluid loss due to vomiting and/or diarrhea, or whenever solid food cannot be tolerated. Also recommended to help rehydration due to high activity levels such as with agility dogs. Product Description: Provides a source of natural antioxidants to support a normal immune system and assists in combating environmental pollutants. Rich in Omegas, DHA and EPA to help maintain proper skin moisture and respiratory health. 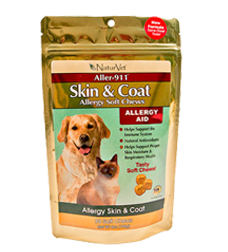 Also Available: Aller 911 Skin & Coat Powder (60 day supply). Product Description: More potency without the smell. Our specialized filtration process helps remove the fishy smell, but not the yummy taste that pets love. 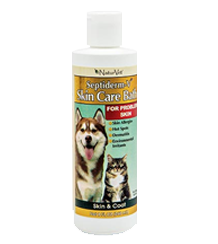 Promotes healthy skin, shiny coat and helps retain moisture in dry, irritated skin. UNSCENTED! Available sizes: 8.75 oz. & 17 oz. Also Available: Salmon Oil Gel Caps (60ct, 120ct). 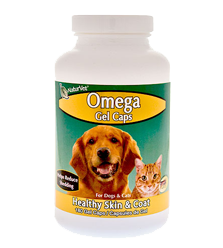 Product Description: Omega Gel Caps are recommended to help maintain healthy skin and glossy coat. 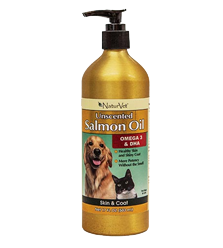 A concentrated source of EPA and DHA fatty acids help to achieve a soft, silky, shiny and healthy coat and maintain normal moisture content of skin. Available sizes: 60ct. & 180ct.